PHUKET: Wildlife officials with local police arrested a man at Bang Tao Beach yesterday (Nov 11) for using a slow loris to lure tourists to pay to have their photo taken the nocturnal animal. 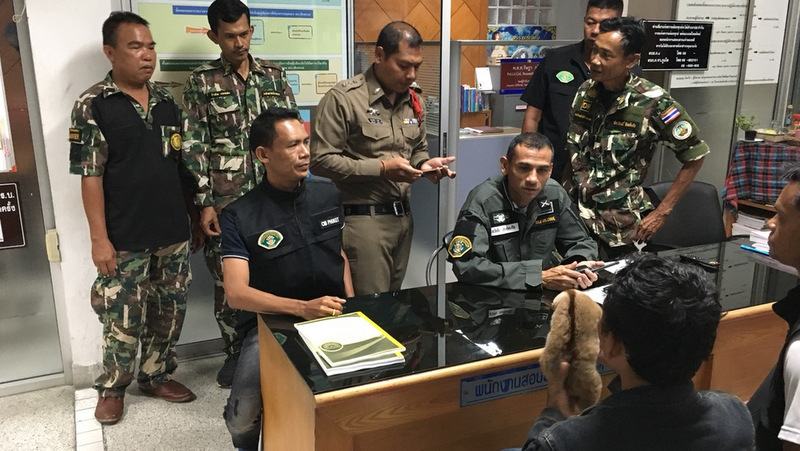 Khao Phra Thaew Non-Hunting Area Conservation Centre Chief Piyawat Sukon confirmed that he and his wildlife officers, accompanied by officers from Cherng Talay Police, arrested the man in front of a Family Mart convenience store near the beach at 4:30pm. The man was identified as Naret Saengarkat, 32, from Nakhon Sawan. 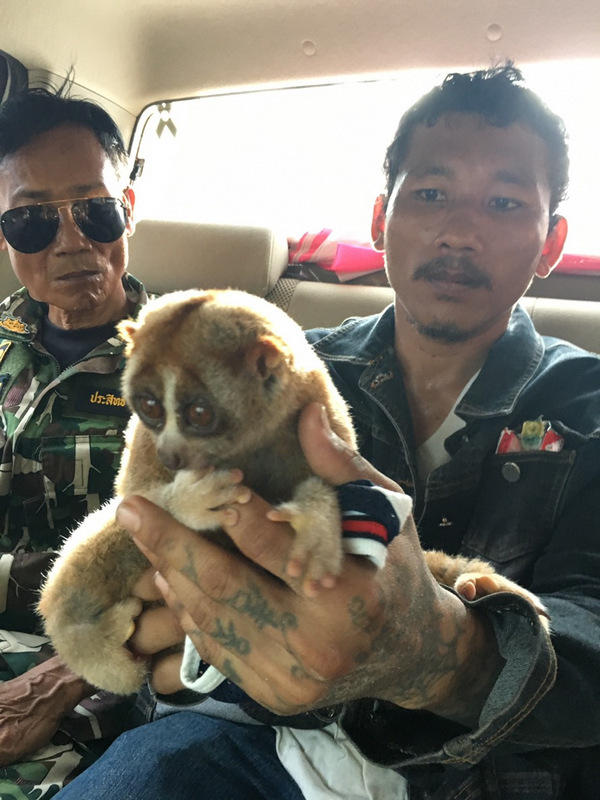 “He confessed that he kept the slow loris, which is about two years old, so he could charge tourists to have their photo taken with it as a way to make a living,” Mr Piyawat said. Cherng Talay Police confirmed that Naret was charged with illegal possession of a protected animal. Mr Piyawat continued his offer for anyone to report sightings of illegal possession and mistreatment of wild animals directly to him on 089-8737749. “You can report these sightings to me directly. I speak basic English, if you are a foreigner, please speak simply and say what animal you saw, where, and when, or other important details,” he said. 7 RTP officers ( in office) on a slow loris case. A case brought up mostly by others ( tourists) as RTP does not active goes after these people, while they have the manpower, seen the photo.